Do you have a sofa in your living room? For sure, the answer is yes. A living room won’t be complete without a sofa and the rest of the living room furniture. It is important to have one since it is where we entertain guests. Aside from that, it is also the area where we relax with the family. The sofa is one of the highlights of the living area. Hence, we should pick one that is comfortable and could make the space inviting. When it comes to choosing a sofa, one thing that you will consider is the color. Most of the time, a homeowner would pick a sofa with neutral colors since it is easier to decorate. It also looks good in any type of space. That is why there are many homes with a white sofa. Apart from the color, the design of the sofa is also something that one needs to take into account. There are L-shaped sectional sofa which is perfect to define the space. Both small and large spaces use this but this is more ideal for large spaces since it can be tricky to position it in a small living area. 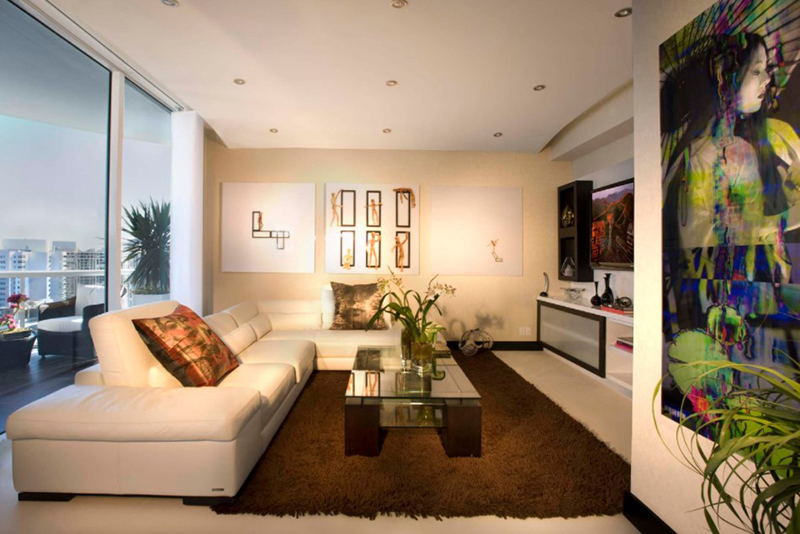 Today, we are going to show you 20 modern living rooms with white L-shaped sectional sofas. Take a look at how the living areas are designed around this kind of sofa. A black and white living room with a white sofa that has the same color with the walls and the window treatments in the area. Aside from one large drum pendant, this modern living room also needs a white sofa to complete its look. The white walls and sofas highlight the fireplace and provide dramatic curves against the straight lines of the space. A mid-sized modern living room remodel with white walls and light wood flooring. It is not just the sofa that is white but also the other furniture in the area. 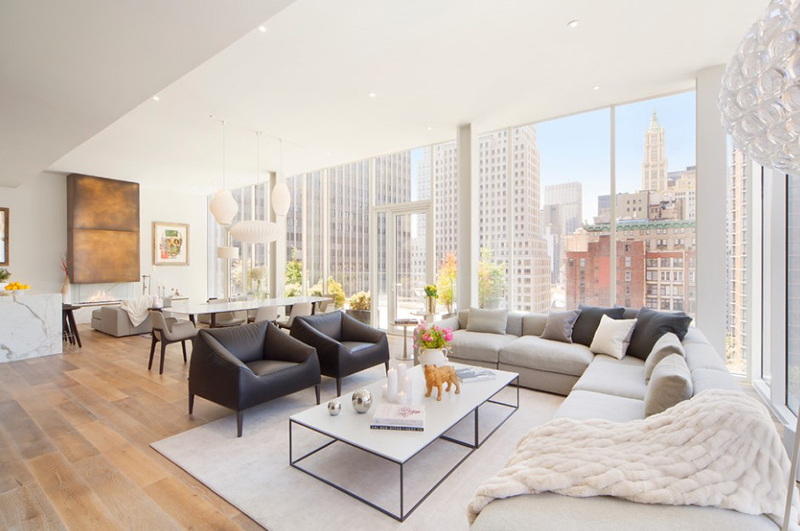 Clerestory windows bring natural light into this living room. 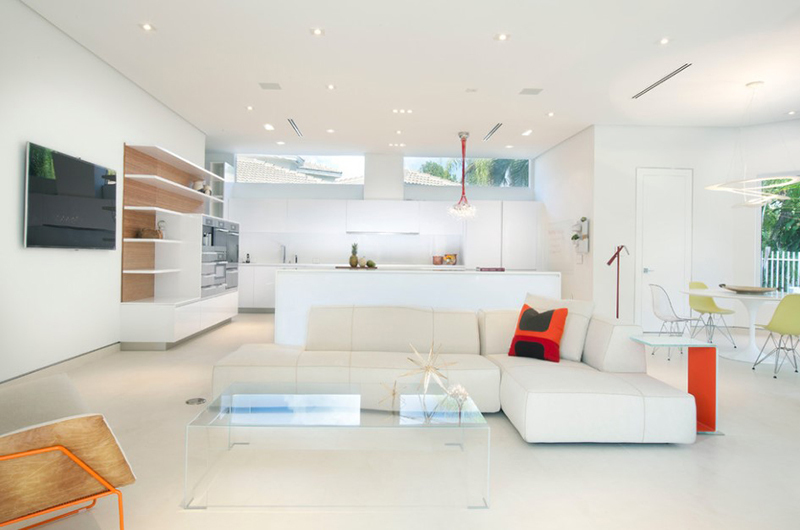 Its white colors make it bright and airy. Notice that they use floor white sofa that seems to blend with the surroundings. There is a good contrast of black and white in this living room. The textures are also contrasting which makes this space really nice. Soft-edged modern leather sofas like the ones on the picture are the perfect vehicle for a black and white scheme. 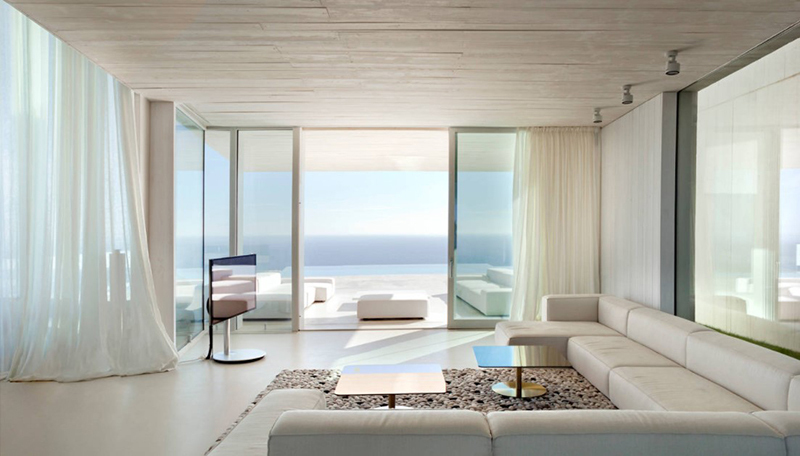 White is used in most parts of the living room where one gets a good view of the waters. 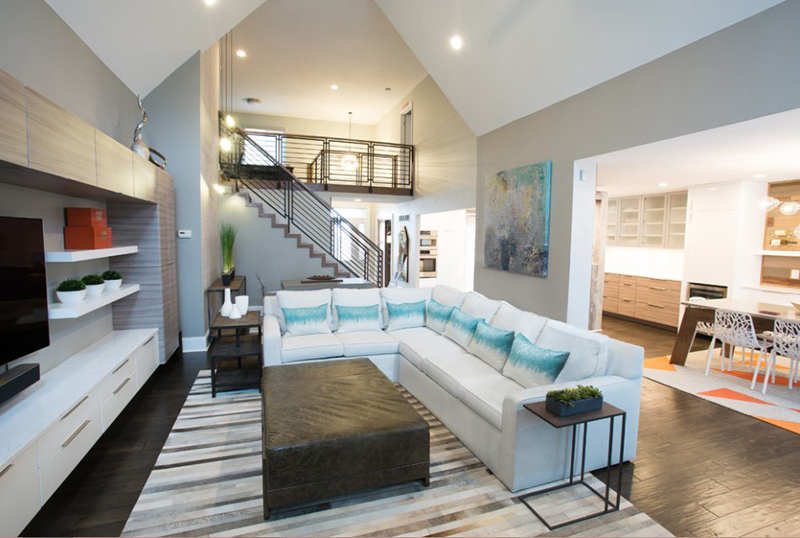 A minimalist formal and open concept living room design that features contrasting white and gray colors. Even the lights here are white and everything looks great with the medium tone wood flooring. If you have a small space, a small L-shaped white sofa like this will also work well in the area. The space has a contrast of the dark and the light which makes it very interesting. This living room with beige walls has many interesting features in it from the area rug to the wall decors. The white sofa could balance the look of the space. Don’t you love the look of this living room? It has a seamless connection to the outdoor area and it has whites everywhere including the kitchen. 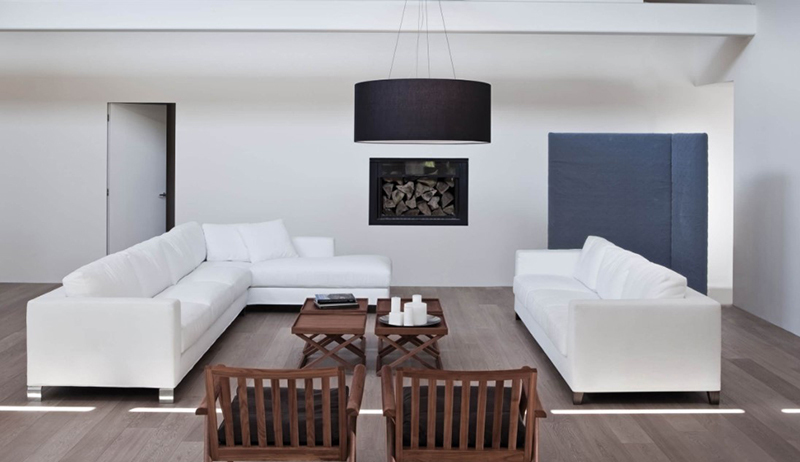 A modern living room with medium tone wood floor living room and white walls. Notice that the living area is just small with a gray area rug. It has a minimalist approach to design. Isn’t that a stunning view? This modern living room has a nice contrast with its dark wood flooring to the walls. Clean lines and minimal decor are what the owners of this house wanted and with the looks of it, they were able to get it. 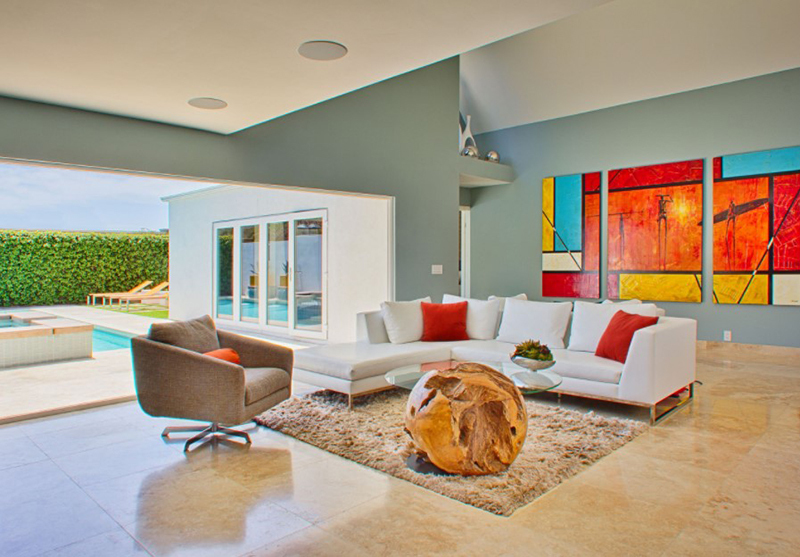 Using furniture that is carefully scaled for the space, a textural area rug to anchor the seating area, and a punch of color from the pillows and wall decors makes this room shine. With a direct access to the outdoors, this living room is such a nice place to relax. It is also good that it has some wooden elements in it that made it look warm. An L-shaped sofa is ideal for a space like this wherein you can place it near a cornered wall. The design of this living room is simple but beautiful! Wonderfully executed details that offer a carefree and comfortable plan. The white sofa looks good as it seems to blend with the walls. 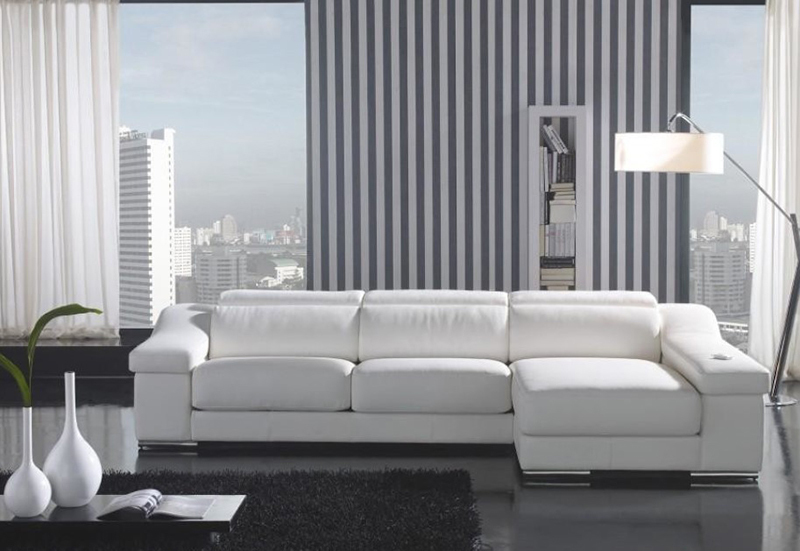 This gorgeous white leather sectional sofa with stainless steel legs provides comfort to the users. It has an adjustable headrest and high-quality leather that could bring style and function to a living room. 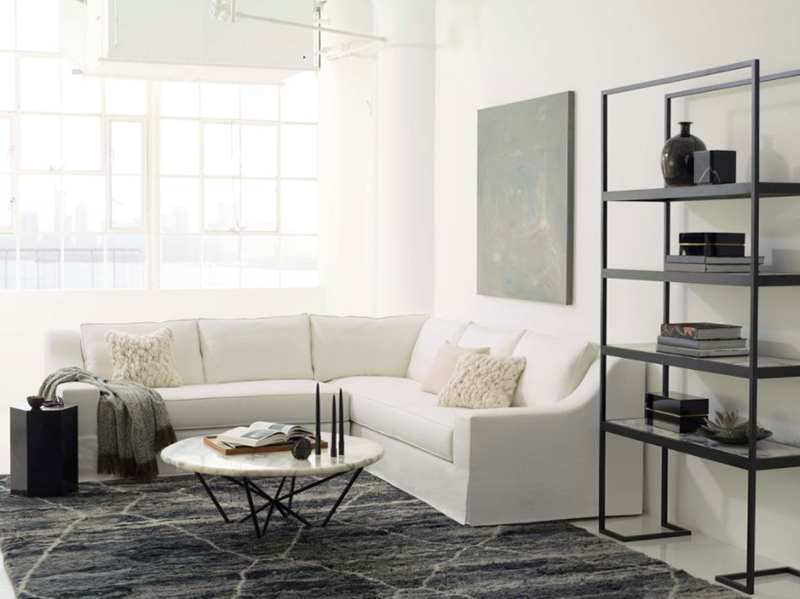 This modern minimalist space has a ceramic gray flooring and white walls which makes it a perfect space for a white sofa. Overall, the minimalist appeal is achieved not just because of their choice of colors but also due to the layout. This large minimalist living room has an open concept featuring dark wood floor. Love the throw pillows which has the same blueprints on it! As you can see, white really looks good in whatever space you place it. But to make sure that it remains white, you need to clean it from time to time. This way, dirt will not accumulate which might cause discoloration to your white sofa. For sure, your effort in maintaining its cleanliness is worth it because aside from protecting your family from dust which may harm their health, you can also retain the beautiful look of your living room. Notice that most of the white sofas above have throw pillows which add to its appeal. Do you have a white L-shaped sofa in your home or you prefer other colors?